This deal cannot be used in conjunction with any other offer. Only available between 1 February 2018 and 31 January 2019. One redemption per individual user. The pass is not refundable. This pass is not transferable to another person. The 30-day count starts from the date of your $30 payment. This pass is for classes on Studio Tula’s timetable that are listed on Studio Tula online. This pass does not give access to Studio Tula courses, workshops, trainings, events, introductory classes and acro yoga classes. If you book a class and are unable to attend the class you must cancel your booking 2 hours before the class starts, if you do not cancel in this time frame and a paying customer misses out on the class, Studio Tula reserves the right to charge you the regular price for the class. 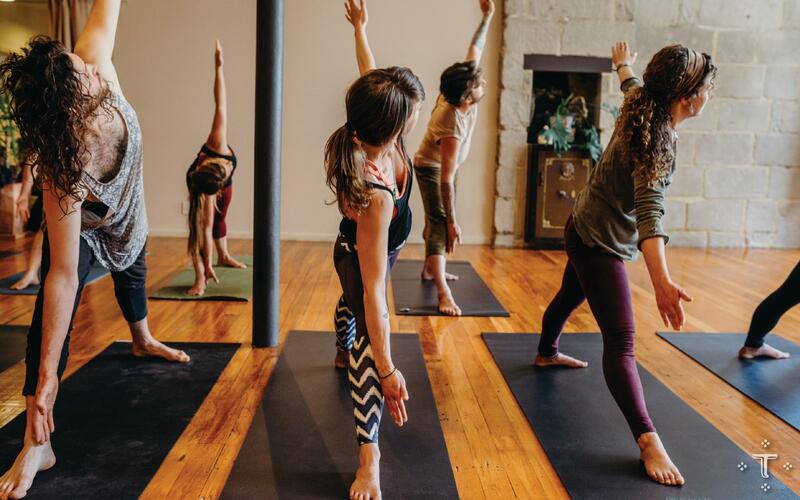 $30 for 30 days is only available to Health Passport members that have not previously purchased the 30-day unlimited introductory pass at Studio Tula. Please read Studio Tula’s terms and conditions, and by making this purchase, you agree to those terms and conditions. You will not be compensated for conditions and events which are out of Studio Tula’s control which prevent access to classes at Studio Tula. Studio Tula reserves the right to change classes, change the teachers, change the times of classes and change the venue for classes during Monday to Saturday usual class times. If the studio is closed for training events or similar, Monday to Saturday for usual classes, the member will have their membership days extended with the number of days the studio is closed. You will not have yout membership days extended for classes that are affected by adverse weather and any other disruption that is out of Studio Tula’s control. To redeem your pass, you must email Studio Tula requesting purchase and payment information and show proof of the redeemed deal screen on your first day of your 30-day pass. Studio Tula is a dance, yoga and wellness studio on the first floor of the beautiful historic Bing Harris Building located at 286 Princes Street, Dunedin. Studio Tula offers a full weekly timetable of yoga classes as well as regular dance, yoga and wellness courses, workshops and trainings. $30 for 30 days gives you the opportunity to experience this for yourself! To redeem this deal simply select the redeem button, note down your unique code, and then email Studio Tula with your code requesting purchase and payment information.